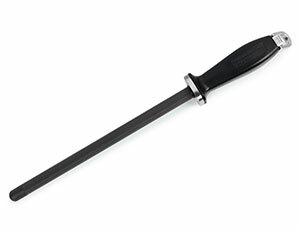 The Mac Black Ceramic Honing Rod features two grooved sides (on opposite sides of the rod) for more aggressive honing. Turn the rod 90° to use the grooved sides or smooth sides. 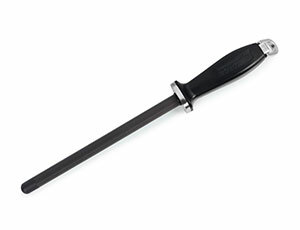 Includes a rubberized end cap, flush with the diameter of the rod to reduce "catching" on the knife. 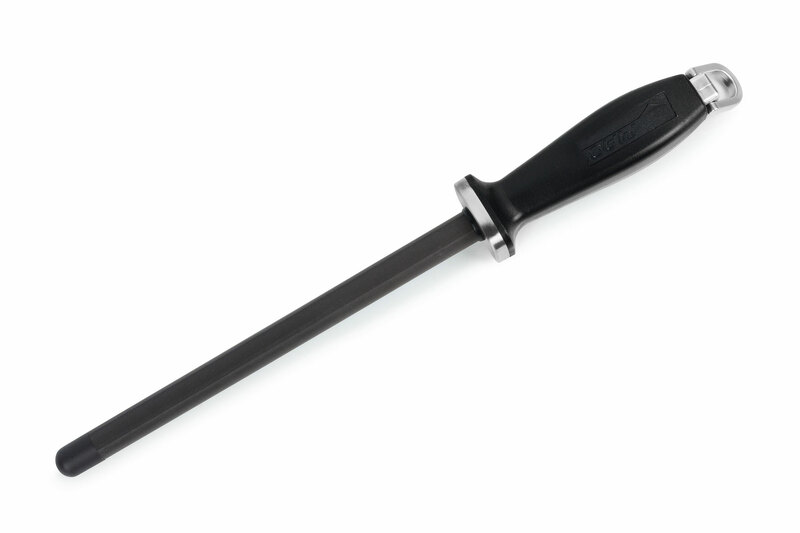 Black ceramic material is a new type of ceramic that is much harder than traditional white ceramic which will quickly realign an edge and works well on harder Japanese steel knives which tend to have a higher Rockwell hardness.